Read more tips how to make your menu attractive and interesting and how long it takes to provide your guests with more information. 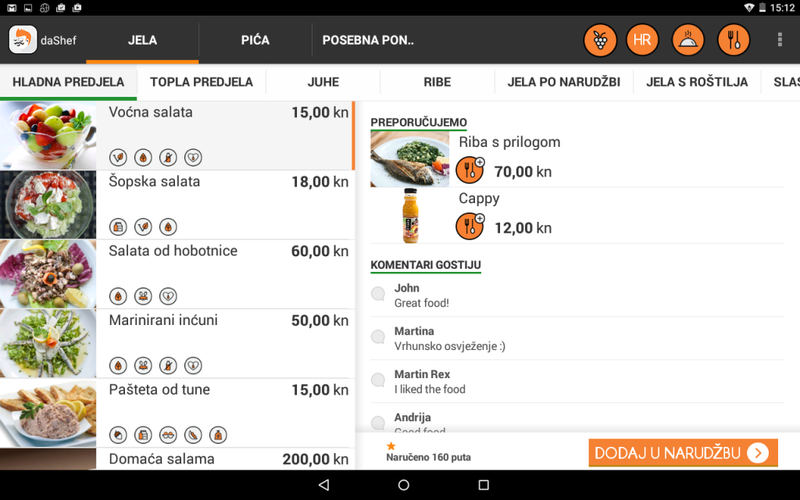 Another interesting feature of digital menu is the possibility of leaving comments about food and evaluation of the same by your own guests, who have already tried it. Thus, the presentation of food, made by caterers, is complemented with impressions of its consumers. People tend to have greater confidence in people with whose positions they can identify. This is a very useful feature and will certainly contribute to the popularity of your restaurant. Digital menus offer the possibility of creating a recommendation in a way that with each dish you can recommend some drink, desserts or a side dish. In addition to make it easier for your guests to complement their order to perfection, you encourage them to additional consumption, which results with the mutual satisfaction. Menus offer the option of entering a cooking time, which actually informs guests about the time they’ll have to wait until the selected dish, and thus avoids resentment because of the possible long wait to serve. Regardless of how long it takes to prepare the food, your guests will have fun studying your restaurant offer. How many times have your appetite suddenly opened by only looking some tempting images of food? Probably a lot. Why would your guests be any different? The problem with standard menus is that they are monotonous, they offer only words, but most of your guests will not have time or interest to study all your menu. After they confirm their order, it’s not likely that they will return to browse your menu again. With digital menu, it is quite opposite. Since they are very simple, transparent and full of visible and full of systematized information, guests will be pleased to meet again with your offer. Today, there is an increasing number of people allergic to certain foods. Therefore, at the end of 2014, the Union made the provision that all restaurants must have indicted allergens on their menus. Penalties for not having it done are very high. But even more importantly, someone’s life may depend on it. Explore whether your meals contain certain allergens and avoid paying penalties. 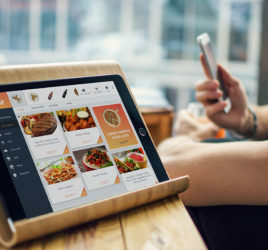 Digital menus allow entry of allergens in a simple way, as well as their possible change, depending on further improvements to the provisions on allergens. Some people do not tolerate certain foods solely for health reasons. But some people do not consume certain foods for religious, cultural, moral and other reasons. 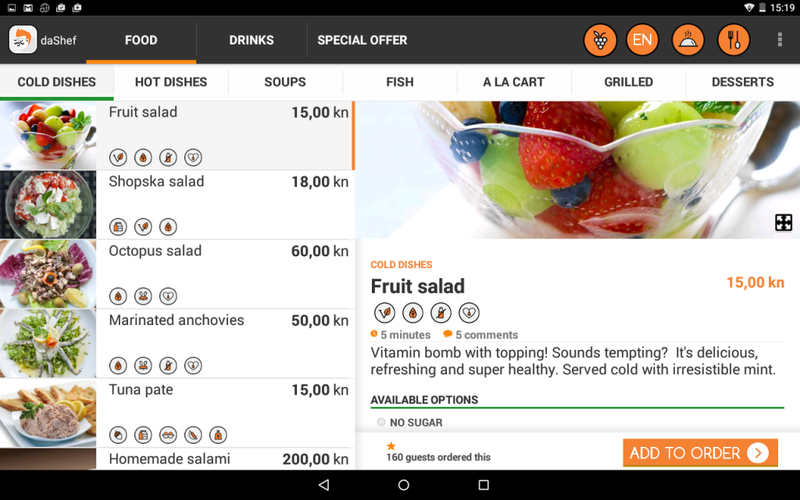 In order to facilitate the selection to such people and let them know you to respect their needs and beliefs, digital menus have the option to search the offer by type of food. 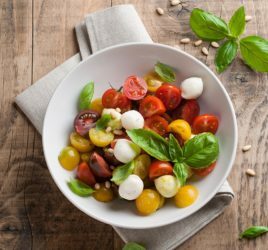 There is also the possibility of entering the calories and nutritional value, again with the aim of get your guests informed about what they are ordering. After your guests provide as much information about your restaurant offer, the sense of trust, security and respect is created. But how long it takes to input all that content and to manage the application? This is a question that most caterers will point out. Sometimes the only thought of all that preparation of materials can result with a big delay, but things are actually much simpler than it seems at first sight. How much time is needed to ‘transfer’ your whole classic menu to digital format? Just so long will be needed to enter the same in digital format, and perhaps even less. You certainly invest much more time in preparation of classic menu than you need to spend on bidding in digital menu. But once you enter all your current offer, all subsequent amendments are a piece of cake. Simply assign a new food to a particular category, and it becomes part of your offer. If you wish to remove a certain dish from your restaurant offer, just deselect it in the back-end application and it remains registered in your database, but not counted as a part of your menu. You can change all information about your offer on a daily basis, including the price. If there is a change in the price of an item, simply type the new price in the back-end application. So the creation of a new menu is not required. In one of our blogs, ‘Improve your restaurant with simple tricks “, we mentioned that the position of some dishes on the menu is very important because the human eye holds on what takes place on the first page. The advantage of digital menu is in the fact that it allows a large content management. If you wish to put accent on some food during a particular day or period, switch it to the desired location using a simple drag & drop method. All in all, this is the menu in which you can make all necessary changes by yourself and it is a long-term profitable investment.